Vodafone India today posted operating profit of Rs 9,805 crore for the fiscal ended March 2018, largely on the back of Rs 3,850 crore gains from the sale of mobile towers. 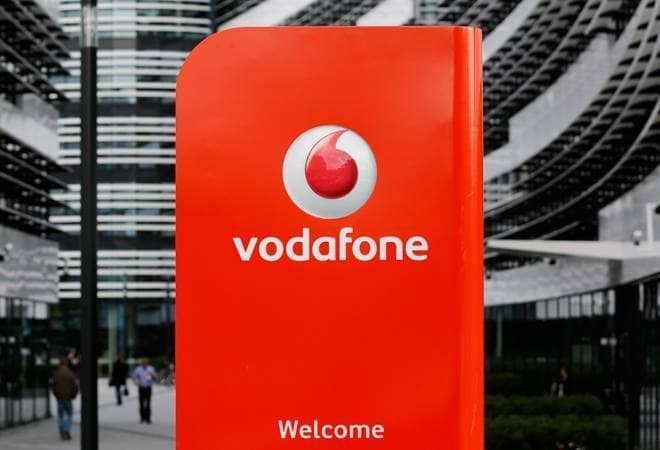 The UK based group had reported an operating loss of around Rs 30,690 crore for 2016-17 on account of Vodafone Group's cutting down the valuation of its Indian business by taking gross impairment charge of 4.5 billion euro. Vodafone India, which is merging with Idea Cellular, expects the process to be completed by June, possibly making the latest results the last on standalone basis. Vodafone Group CEO Vittorio Colao said at a web conference that both the companies have already starting branding exercise for the new entity. The adjusted EBITDA of the company declined 34.5 per cent to around Rs 7,774 crore in 2017-18 from Rs 11,743 crore in the previous fiscal. Vodafone India continues to face tariff war heat and reported 18.7 per cent decline in organic service revenue to around Rs 35,045 crore in 2017-18 compared to Rs 42,927 crore service revenue registered in the preceding fiscal. "Intense competition is euphemism. There was 86 per cent decline in data price on year-on-year basis. Good news is that we have got 10 million customer in last quarter but there is a price to be paid for this success," Colao said. The company added over 1 crore pre-paid customers but lost 5.76 lakh contract or post-paid customers in the January-March period. Data traffic on network of Vodafone India increased four fold but the company could not reap financial benefits because of sharp decline in data prices. Vodafone India service revenue declined by 21.2 per cent to Rs 7,750 crore in January-March 2018 period from Rs 9,835 crore it registered in the year-ago period. The average revenue per user of the company declined by 26 per cent to Rs 105 from Rs 142 during the quarters under review. "Losses continued in India as service revenue declined 18.7 per cent as a result of intense price competition from the new entrant, aggressive competitor responses and a significant reduction in MTRs (mobile termination rates)," Vodafone said. The net debt of Vodafone India stood at 58,119 crore or 7.7 billion euro at the end of the period, down from Rs 64,014 crore (8.7 billion euro) at the end of the prior financial year. The decline in debt was due to the positive translation impact of closing foreign exchange rates on the debt balance of 1.2 billion euro and proceeds of Rs 3,850 crore from the sale of Vodafone India's standalone towers to American Tower Corporation. "Following the completion of Idea's equity raising in February 2018, under the terms of the merger agreement with Idea the Group intends to inject up to 1 billion euro (around Rs 7,500 crore) of incremental equity into India, net of the proceeds of the sale of a stake in the joint venture to the Aditya Birla Group (ABG), prior to completion," Vodafone said. Vodafone Group did not include India business in their financial performance. "On March 20, 2017, Vodafone announced an agreement to combine its subsidiary, Vodafone India (excluding its 42 per cent stake in Indus Towers), with Idea Cellular. The combined company will be jointly controlled by Vodafone and the Aditya Birla Group. Vodafone India has been classified as discontinued operations for Group reporting purposes," Vodafone said.